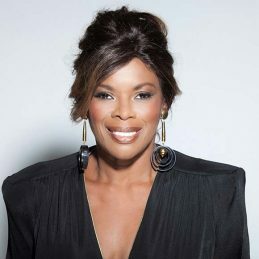 Australia’s beloved musical treasure Marcia Hines, with a career spanning four decades has released 22 albums, selling 2.6 million copies and has garnered countless chart-topping singles and multi-platinum records. Marcia is an inspiration to women and Australians everywhere, constantly reinventing herself and setting industry benchmarks; moving from Boston Massachusetts to Sydney at just 16 to star in the Australian production of ‘Hair’, being the first black woman to star in ‘Jesus Christ Superstar’ and advocating ceaselessly for diabetes. Australian Idol’s favourite judge for the show’s seven consecutive years, Marcia was inducted into the ARIA Hall of Fame in 2007 and received the Order of Australia (AM) in 2009 for her services to the Australian Entertainment Industry as a performer, judge and mentor and to the community through a range of charitable organisations. The legendary former ‘Queen of Pop’ shows no sign of slowing down. Marcia is touring Australia with her new show ‘Disco Inferno’ and 2017 sees her return to the divine discotheque circus ‘VELVET’.